Portland, OR, February 26, 2019 --(PR.com)-- C-Change Design of Portland, OR has won "Best Of Design" and Best of Customer Service on Houzz ®, the leading platform for home renovation and design. The design firm led by Chelly Wentworth was chosen by the more than 40 million monthly unique users that comprise the Houzz community from among more than 2.1 million active home building, remodeling and design industry professionals. The Best Of Houzz badge is awarded annually, in three categories: Design, Customer Service and Photography. Design awards honor professionals whose work was the most popular among the Houzz community. Customer Service honors are based on several factors, including a pro's overall rating on Houzz and client reviews submitted in 2018. Architecture and interior design photographers whose images were most popular are recognized with the Photography award. A “Best Of Houzz 2019” badge will appear on winners’ profiles as a sign of their commitment to excellence. These badges help homeowners identify popular and top-rated home professionals in every metro area on Houzz. “We are so excited and honored to be recognized on Houzz for both design and service,” said Chelly Wentworth, Principal Designer at C Change Design. Follow C Change Design on Houzz. Chelly Wentworth has been creating beautiful and functional, client centered architectural designs for her residential clients since 2002. From concept to completion and all points in-between, Chelly and her talented network of industry professionals can guide you through the process. 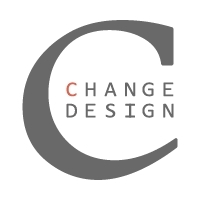 Whether it’s a kitchen, bathroom, basement, whole house or any other residential renovation project you have in mind, C Change Design is here to help your dreams become a reality. Houzz is the leading platform for home remodeling and design, providing people with everything they need to improve their homes from start to finish – online or from a mobile device. From decorating a small room to building a custom home and everything in between, Houzz connects millions of homeowners, home design enthusiasts and home improvement professionals across the country and around the world. With the largest residential design database in the world and a vibrant community empowered by technology, Houzz is the easiest way for people to find inspiration, get advice, buy products and hire the professionals they need to help turn their ideas into reality. Headquartered in Palo Alto, Calif., Houzz also has international offices in London, Berlin, Sydney, Moscow, Tel Aviv and Tokyo.Houzz is a registered trademark of Houzz Inc. worldwide. For more information, visit houzz.com.